The arrow is a literal representation of the bow and arrow weapon, used to acquire food for one's tribe. In a more metaphorical sense, the arrow represents protection and defense. A broken arrow symbolizes peace among different tribes. 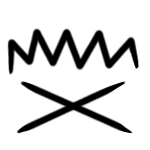 The arrowhead as a physical piece and as an image represents alertness and direction. 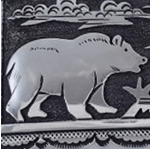 The bear is a sacred animal of many meanings in Native American culture. 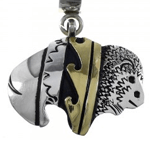 Most prevalently, the symbol of the bear is a sign of spiritual and physical power and courage. 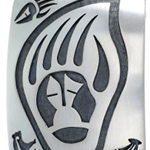 Because the bear is such a highly regarded animal within Native culture, the bear claw often represents protection and a connection to the animal. It is often worn by those who seek leadership. 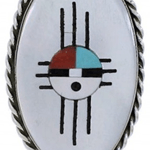 Brotherhood is a strong belief in Native American culture both literally and metaphorically. Literally, it represents the loyalty between two people or tribes. Metaphorically, it is a meaning of duality and balance. Being a primary source of food and materials for many Native Americans, the buffalo (or American Bison) hold a special meaning in Native American culture. They represent the sustaining of life in addition to the trait of humbleness. 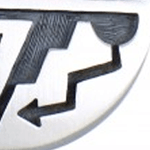 Because this valuable resource can be scarce, the buffalo symbol is a reminder to take only what one needs. 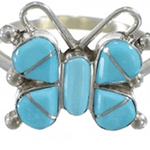 The Butterfly is a common symbol and is often seen in Native American jewelry as an image of transformation. In deeper beliefs, the butterfly is seen as a messenger from the spirit world, a communicator in dreams, and a symbol of peace. True to its nature, the cactus symbol primarily represents protection and endurance. The symbol of the cactus is believed to help with enduring tough situations. 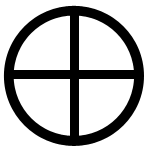 Tribes across North America collectively had various forms of the circle. The meanings varied slightly, but overall the symbol represented the four elements (air, fire, water, & earth), the changing of the seasons, death & rebirth, and the first four tribes of mankind. Corn is a common symbol as it is a widely harvested crop for many tribes. 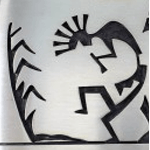 The corn maze symbol is also seen and represents the twists and turns of life. 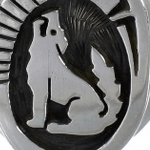 The coyote is one of the most well-known symbols in Native American culture, representing a creator god, a spirit, and a significant ancestor. 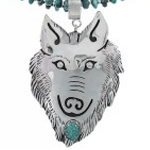 To wear a coyote symbol is to encourage one's own intelligence and craftiness. 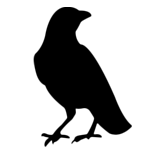 Despite the belief that the crow represents bleakness, the contrary is true. 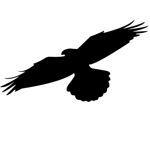 The Crow represents the mystery of creation, intelligence, perspective, and fearlessness. This flighty insect represents freedom through swiftness. It is also a symbol of resurrection and rebuilding after hardship. To wear the dragonfly symbol is to encourage forward movement. 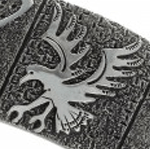 The eagle is a powerful symbol that represents victory, conquest, and personal power. The eagle symbol is believed to help with one's drive for victory. This image represents a famous sculpture depicting an American Indian on a horseback, tired and worn from the trail away from his land. 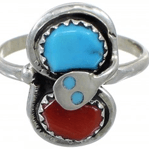 Though it was created as a reminder of the suffering of Native Americans, it has also become an image of endurance, strength, connection to one's ancestry, and it inspires continual progress and pride. 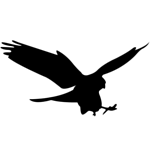 The image of a falcon represents vision, knowledge, and decisiveness. Those who adorn themselves with falcon imagery strive to meet their goals. 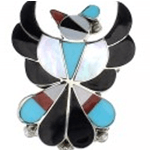 Present in virtually every Native American tribe, the feather symbol is universally recognized as a representation of trust, strength, wisdom, freedom, and honor. 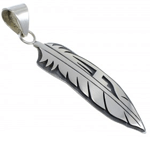 Incorporated into many sacred pieces of Native American wear, the feather is easily one of the most respected symbols. Fire is a common symbol in Native American decoration. Fire represents purification, cleansing, and renewal. 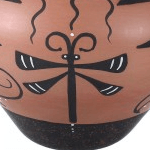 The symbol is used commonly in traditional ceremonies that celebrate the changing of seasons. The fox is deeply rooted in Native American culture because it is believed to be a significant spiritual animal. 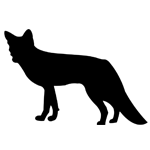 The image of the fox is believed to grant increased awareness, fast responsiveness, cunning, and the ability to figure out complicated situations. 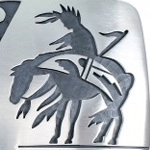 Given that horses were the main form of transportation for many Native American tribes, their presence in symbolism is prevalent. 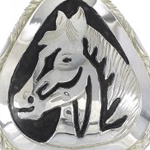 The symbol of a horse worn on jewelry or other attire represented strength, freedom, and nobility for the wearer. 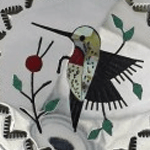 The hummingbird's symbolism is reflective of its own nature. Playfulness, swift movements, and quick thinking are all traits of the hummingbird that Native American's incorporate into their symbolism. 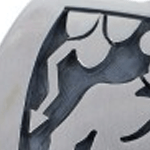 The symbol of the Kokopelli symbolizes the deity of fertility for both humans and agriculture. 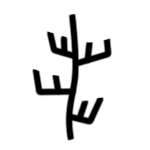 This is a very common symbol in Native American culture, and is shown throughout the year, especially during seasonal changes and times of harvest. The appearance of lightning, symbolically or literally, represents power and speed for warriors of a tribe. 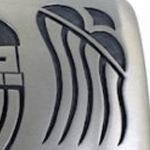 This symbol is generally seen with the Thunderbird symbol to create an image of great power. 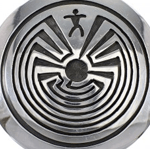 The symbol of the man in a circular maze of seven paths represents the paths and cycles of life one must be guided through. The imagery represents the journey of life and is deeply connected to one's own ancestry in the path they take. 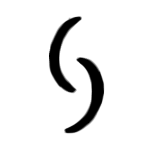 This symbol represents the idea that life's journey is not always easy. The symbol of rain represents renewal, fertility, and oncoming change. 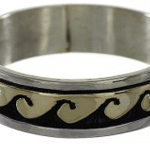 The image of rain, rain clouds, or a raindrop is considered positive symbols to wear and display as water is a substance of life. The raven is the representation of medicine and healing and it symbolizes the changing of one's self. It is believed to bring messages from the spirit world to help healers treat the injured and sick. The snake is a positive symbol that represents healing (due to shedding of the skin), re-birth, and is a physical sign of good luck. A widely-seen symbol, the Sun image often means "Earth's Guardian" or something similar. 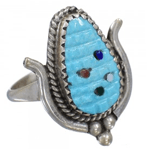 It represents healing, energy, and in some cultures is considered to be the giver of life. The legend of the thunderbird is an iconic symbol. It is believed that its enormous wings cause thunder, wind, and sounds of warning. The Thunderbird also represents power for those who see it. 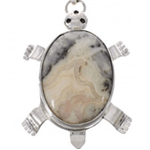 The turtle represents Earth and a long and healthy life. Because of the turtle's natural long life, it is no surprise that the image of the animal is widely used by those who value health and longevity. 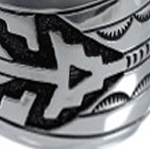 This pattern is generally seen on pottery, sterling silver jewelry, and in Native American wood work. It is representative of water cycles, life, and renewal. 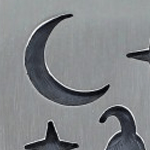 It is often accompanied with other symbolism. The symbol of the wolf represents communication. It is considered a deity in many cultures, and its imagery is often used to inspire loyalty, compassion, and fierceness. It is a valuable symbol to many people.